The Colossi of Memnon marks the eastern entrance of the Amenhotep III Temple in Thebes. 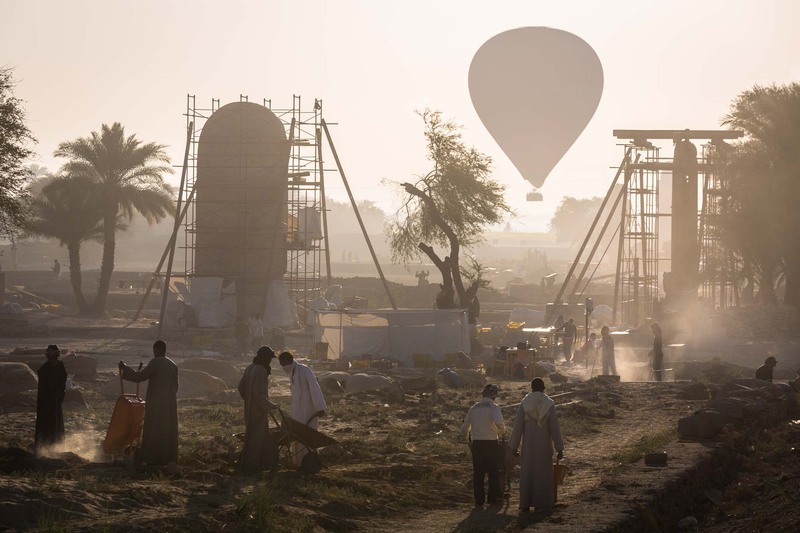 Today it is one of the most important reconstruction projects of its kind in Egypt. Despite strict security measures, it also provides many of the small objects which make their way to the buoyant tourist industry. The temple being sandwiched between Luxor and the Valley of the Kings in Thebes, is a magnet for mass tourism, Egypt.